We've taken the popular Chinese-American restaurant dish and made it easy to make at home only fresh! 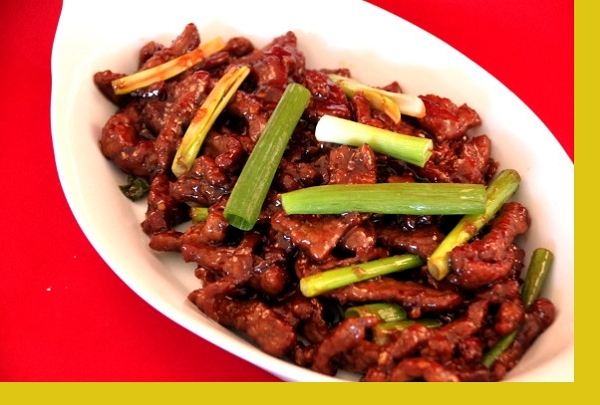 Sliced beef stir fried with scallion in a savory brown sauce. Homemade with the freshest ingredients ... you can't beat that! Served with white rice. Sirloin steak, scallion, hoisin and soy sauces, garlic and spices. Served with rice. In a bowl, mix meat and corn starch coating evenly. Heat 4 tablespoons of oil in a large skillet on medium heat. Add meat and stir fry for 3 mins. Cook meat in batches if necessary, then strain excess oil and set meat aside. Pour sauce in skillet and reduce on medium high heat about 3 mins until sauce thickens. Add meat to sauce and mix well for 30 seconds. Add onions, toss for 30 seconds and serve. Microwave rice. I love the variety of the meals. This meal was great and seasoned perfectly. Love all the asian dishes, steam the rice to heat evenly. I just wish they came with more sauce so I have enough to pour over the rice!! This meal was super simple to put together and had a ton of flavor. Would definitely order this again. After getting back from Alaska I was looking forward to some good Chinese food and this dish was exactly what I needed. There was plenty of sauce and the portion for two people was huge. I agree with the earlier review that there was too much rice for 2 people and it was difficult to evenly reheat, but we managed. All and all this was a very satisfying meal. So easy to put together, large portions. SO BEYOND DELICIOUS!!!!!!! I was pleasantly surprised with ease of ordering, delivery man dressed as a chef, to the enjoyable meal. Beef was tender, sauce very good and plenty of both. Rice was hard to reheat as it was stuff together. I ordered two servings for us and had enough left for lunch. I could eat 15 servings of this by myself. So flavorful. Tender meat. DELICIOUS! 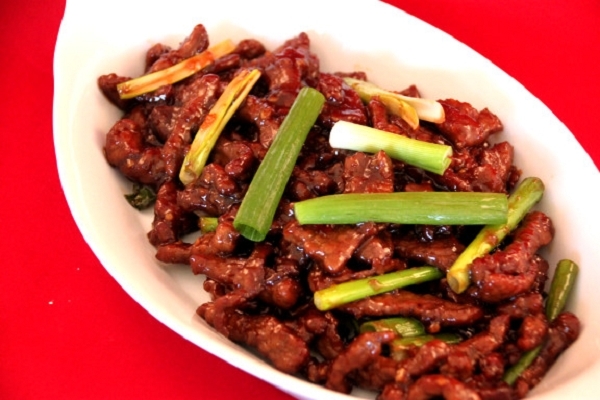 The tender slices of sirloin coated with the tasty sauce served on rice and covered in scallions is incredibly delicious! Highly recommend all dishes as very special, and this is my favorite! Long been my favorite Asian dish. This was excellent and I enjoyed it very much. Surprisingly easy to make and was very happy with the outcome.